Wishing all members of The Company of the Green Man a fantastic Yule. thanks to everyone for all the contributions and support during 2011. 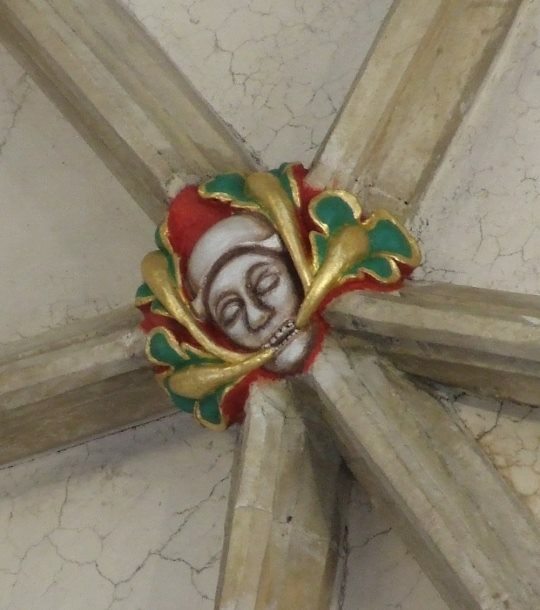 Here is a picture of one of the most seasonal Green Men I could think of from the roof of Salisbury Cathedral…He is wearing a Santa hat isn’t he? 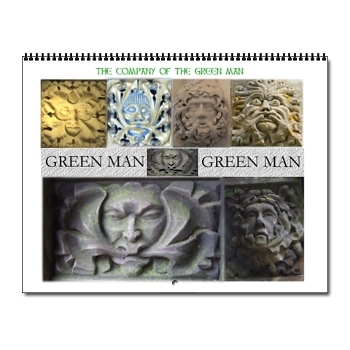 Green Man of the month for March is an extremely unusual blue green man roof boss from St Mary’s Church in Sileby Leicestershire. 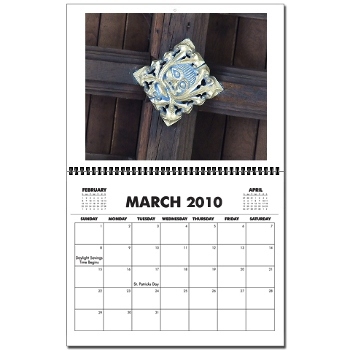 The earliest part of this church dates back to the 12th Century, although the roof dates back to the 15th Century.